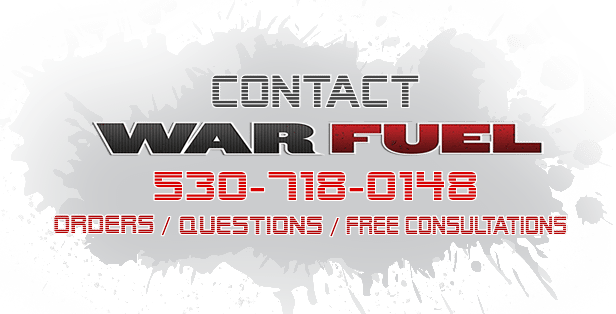 Increase your energy, build your endurance, and outperform your competition with the best endurance sport drink on the market – WAR FUEL. Created with natural electrolytes from plants, WAR FUEL brings the right balance of sodium and carbohydrates to help improve your stamina and replenish the body. Designed with the endurance athlete in mind, WAR FUEL has no artificial colors, flavors, or sweeteners like many of the popular brands on the market today. Whether your engagement is competitive or just a hobby, WAR FUEL will help you take it to the next level. Cyclist, runners, skiers, and tennis players; team sports like basketball, soccer, hockey, and track; wrestling, canoeing, kayaking, and boxing. Every athlete needs a good sports drink to keep hydrated and replace lost fluids and sodium. For endurance training, we recommend drinking WAR FUEL approximately 20 minutes before you begin your workout. The isotonic nature of WAR FUEL encourages vascular dilation which improve oxygen uptake and can improve overall performance. Continuing to drink WAR FUEL during endurance training, you will find the stamina to extend and increase the intensity of your workout. When training is complete, another serving of WAR FUEL will serves as an excellent recovery drink as well. 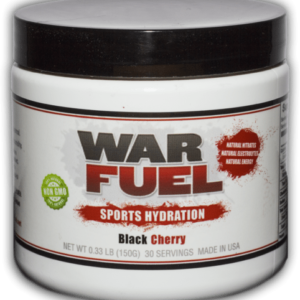 WAR FUEL supplies a well-balanced combination of naturally-sourced electrolytes, nitrates, and sodium to help you replenish what is lost in sweat as well as to improve oxygen utilization during the high-intensity moments of your workout. Electrolyte sources are from organic beets, organic watermelon, and organic pomegranate. Healthy ingredients for a healthier you. Designed for the endurance athlete, WAR FUEL sports drinks is beneficial for the competitive athlete who is exercising consistently for more than an hour at a time. However, because the ingredients are organic and all natural with no added sugar, these amazing sports endurance drinks can also be beneficial to anyone, especially when it’s hot and humid. Hydration is important for everyone, active and sedentary, young and old, because our bodies are composed of more than 50% water. The powder mix is perfect option for the person on the go, making it convenient to store and carry your sport endurance drink wherever you go. WAR Fuel has no added sweeteners, offering the benefits of a sports drink without the extra sugar, flavors, and colors. A clean, refreshing sports drink, WAR FUEL does not to contribute to unwanted weight gain.